David Palumbo-Liu, the Louise Hewlett Nixon Professor at Stanford University. He's a Professor of Comparative Literature and English. He recently wrote about Trump’s calling himself a "nationalist." He noted, "By calling himself a 'nationalist,' Trump has made it clear who gets to be a part of his 'nation.'" 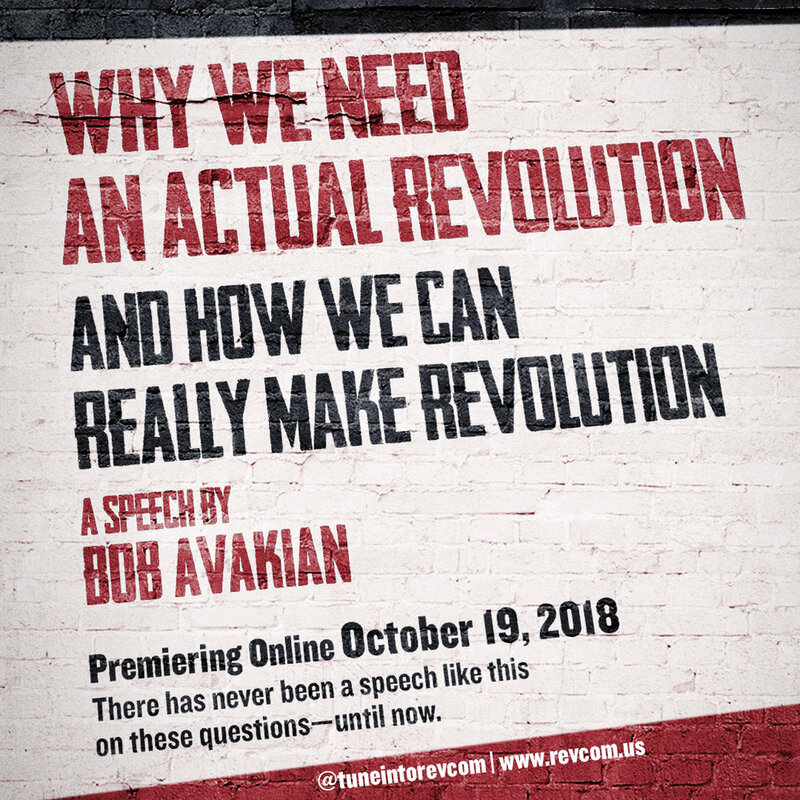 Bob Avakian, the Chairman of the Revolutionary Communist Party, on How to spread the fighting spirit confronting fascists despite what the Democrats say? This is from the Q&A that followed a speech he gave this summer, Why We Need An Actual Revolution And How We Can Really Make Revolution. Sunsara Taylor, a writer for revcom.us, Revolution newspaper and co-initiator of Refuse Fascism, speaking in New York at a protest called by Refuse Fascism for November 7, the day after the elections.